I should prob post a member's ride for this.. It just didn't feel right with only three pictures and me not having much money put into it. I just wanted to update you guys on my recent purchase of a 2001 with 110k miles, 5 speed. Anyways, here is some pictures of it along with my fellow luder/ bestfriend Cody. Unknown brand of slotted rotors. Somebody give me an ID on the rims? Last edited by WilkaH22; 05-23-2011 at 02:55 PM. 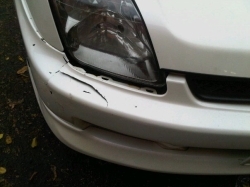 Re: I should prob post a member's ride for this..
My car was basically in the same condition as yours. Not as bad but that's all good. 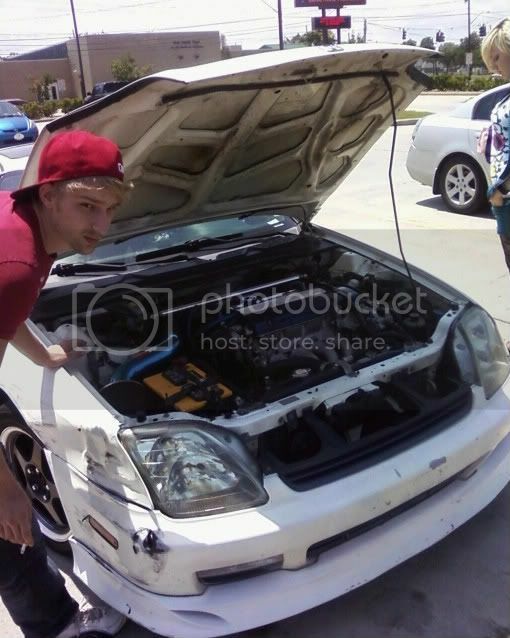 Your bumper should be reusable but the fender might need replacing. Looks like you have a nice little project ahead of you. Your engine definitely looks a lot cleaner then mine. Good luck on your journey. 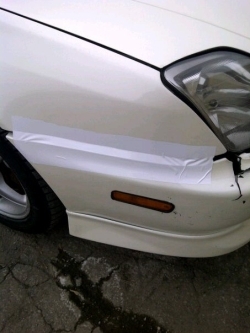 The bumper has a big hole in it, its cheaper to buy a new one from certifit then bring that one to a body shop and have them bondo and paint it. I just found my new best friend lol. Compared to a automatic, your 5 speed gives the user by properly modulating the throttle in a given cornering situation a great deal of control of the car. On a 5 speed, due to the direct connect between the engine and the wheels, their is no momentary lag or build up of power time between when you apply a little more throttle and the result of such action which in some conditions can make the difference between making the best act of cornering of your life or ending up in a ditch.When you back off the throttle on a 5 speed the engine braking can introduce trailing throttle overseer which is a win for fwd cars when cornering. Automatics don't really provide engine braking and just act to increase the demands on the braking system and disrupts the suspension balance as you scrub off speed in a corner.Thats why on automatics they have different driving modes. (D,1,2). In conclusion a manual transmission gives the user more control over how the engines torque both + and - effect the handling of the car. Umm what? Cool I guess, but off topic? Sometime in the next two weeks I'll end up lowering the motor to change the crank pulley and possibly a wire tuck. Dammit robert, dumb it down man!!!!! anyway, congrats on the SH! your gonna love it! as long as you keep up on its maintenance she will last you a loooooooooooong time, especially with the low mileage that you have! clean up the exterior and you have quite the start already! 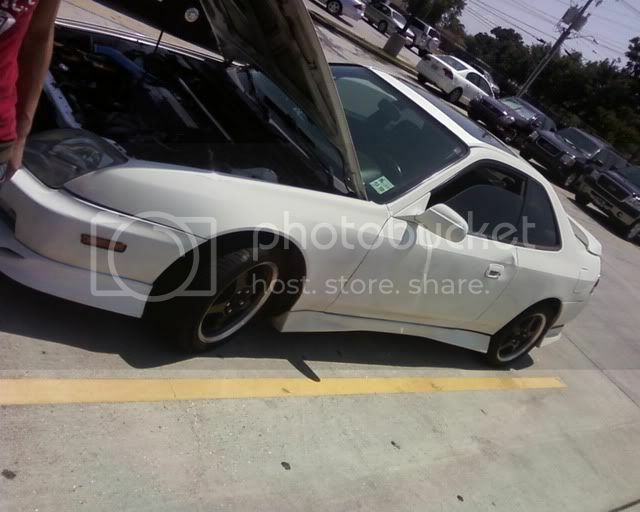 Thanks guys, it means alot to know that I'll be accepted into the legitimate prelude community, I just have to fix the bushings in the front end, crank pulley, and an alignment first so I can even drive it to work, I have most the parts but yet no time to do it, when I get some more money I'll make the trip to certifit and get the bumper for somewhere around 200 primed and the new fender for 86, plus another 140 in paint and she'll be good to go. After that, I rip apart the head and attempt to find the leaky seal. BTW! Biglegs, I envy your engine bay. I need to repaint this one, but it's the least of my worries atm, I have to figure out how I'm gunna put gas in it, insure it, find time to fix it, and come up with the money for fenders and paint that I have to do myself. Last edited by WilkaH22; 05-23-2011 at 02:58 PM. 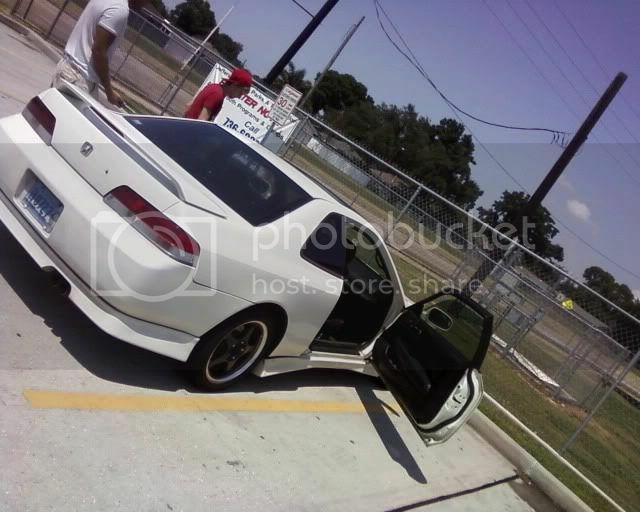 nice lude like the way u have it looking minus the passenger side of the bumper hurts my feelings seeing it like that :( lol but nah good stuff white ludes ftmw!! Tell me about it, I can't wait to fix it, I bought it as a project to build it up. Its quick, gets a lil above 60 in a block and a half just about with the cracked crank pulley.